At Gotland has it probably always existed truffles just that no one has found it. The first documented findings on Gotland in 1998. In Rute we both have Burgundy truffle (Tuber aestivum) and cultivated tuber melanosporum (Tuber melanosporum). In 2003 it was exported truffles from Rute to the annual ceremonial dinner party at Confrérie de la Truffe de Bourgogne. On Bräntings there is the world's northernmost growing Perigord truffles. Our truffles are just as high quality as the French. 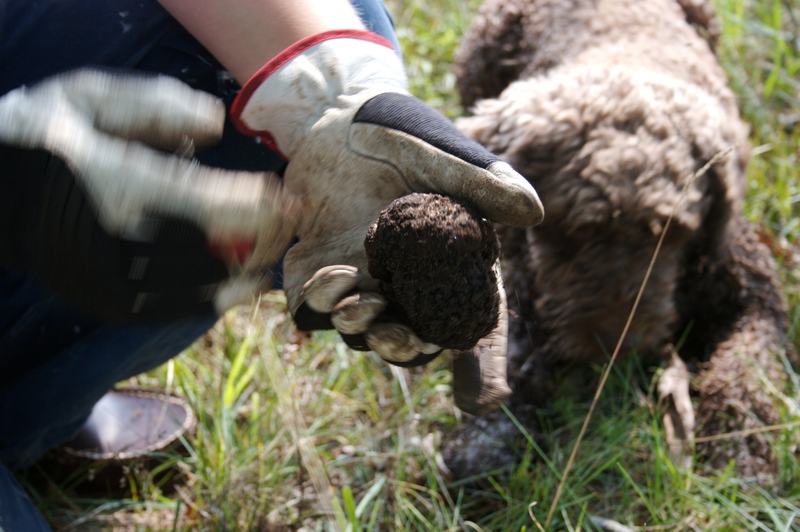 The longtime truffle was tested in France under the supervision of Carl-Jan Granqvist and Dr. Christina Wedén. On Bräntings you can book truffle hunting from late August to mid-December. Truffles are like all fungi weather dependent and are more or less from the end of August until frost is in the ground. The uniqueness of the truffle is that it will always belong to the land owner that it is not subject to roam. Fresh truffles stored in tightly sealed container with rice and keep in refrigerator for about 10 days. The truffle can also freeze. One tip is to make a truffle butter electricity truffle cream that is frozen and taken up as needed.